I've finished all the cross-stitching (excepting the name, which I'm saving for last) and have moved on to outlining. 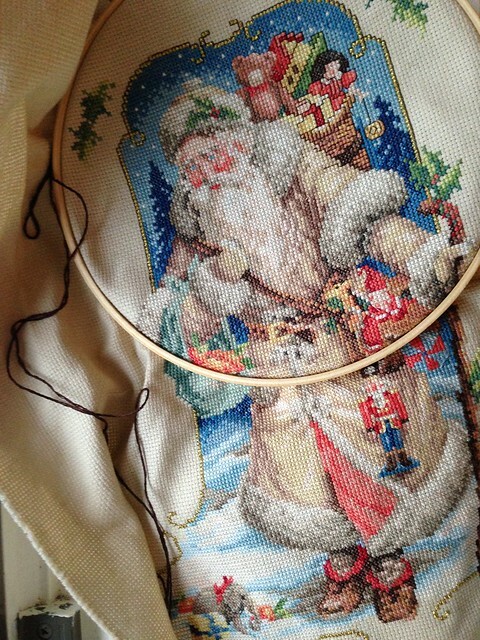 With 50 days until Christmas, it's starting to look as if I might actually be able to finish the stocking in time for this year. Of course Mr. Cleaver, being the reasonable one (and knowing me all too well), has encouraged me to banish the thought from my mind instead of giving myself some crazy deadline. 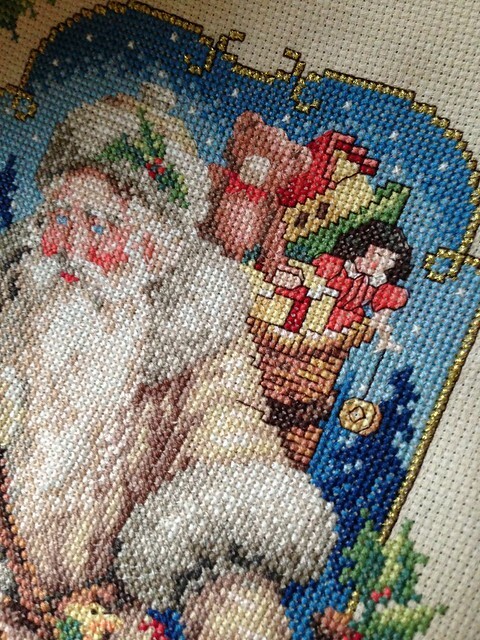 He's probably right, butfor now, I think I'll keep stitching along and call it come December 10th or so.